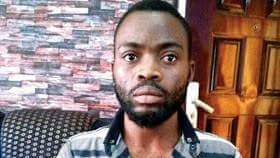 The Ogun state polics command have arrested one Abiodun Joseph, 26,last Wednesday, April 19, at Ilese in Ijebu North East Local Council of the state. 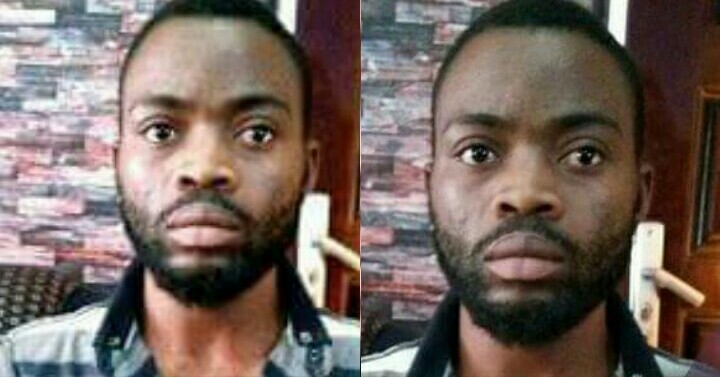 According to the police, the Joseph had allegedly obtained the sum of N600,000 illegally through money transfer. While parading the suspect along with three other suspected armed robbers and kidnappers at the state’s command headquarters in Eleweran, Abeokuta, the Commissioner of Police, Ahmed Iliyasu, said Joseph had been using his Facebook and Whatsapp accounts to defraud unsuspecting members of the public. “On interrogation, he owned up to the crime and confessed that he has duped some people to the tune of N600,000,” he said. Joseph, who admitted to committing the crime, said he opened the Facebook account October last year, purposely to defraud people. He said he uploaded Ooni’s pictures from the Internet and used them on his Facebook account and in no time, people mostly ladies began to send him requests, thinking he is the monarch. Joseph revealed that many ladies sent requests to him that they wanted to be his ‘Oloris’ (wives) thinking he was genuine and this was how he was able to defraud some of them. Joseph, however, said one of ladies among the numerous ladies who wanted to be ‘Olori’ had demanded that he buy her a house worth N45 million, but he told her that she had to pay N5 million out of the amount and he would make up the balance for her. He was still waiting for that N5 million last Wednesday when the police swooped on his residence and arrested him. Joseph said he regrets his action and asked for forgiveness of Oba Ogunwusi.